Are There Risks of Long-Term Damage From Abusing Vyvanse? Vyvanse is designed in a way that provides a measure of protection against abuse. However, abuse is still possible. Some may misuse the drug to enhance cognitive performance—for example, while studying. Long-term effects of abuse can include addiction, heart problems, psychosis, paranoia, and seizures. Unlike other drugs that treat ADHD, including Ritalin and Adderall, Vyvanse’s unique chemical design means that it is activated in the body in a different way than other stimulant drugs. Even though an abuse deterrent has been engineered into the medication, some potential for Vyvanse abuse exists. When someone is looking to amplify the effects of a drug, especially prescription drugs with extended-release mechanisms, one of the most common methods used to enhance the “high” is to crush a pill or open a capsule and snort the powder or dissolve it in a solution for needle use. Despite this, lisdexamfetamine remains an amphetamine stimulant. Even though an abuse deterrent has been engineered into the medication, some potential for abuse of Vyvanse exists—primarily by ingesting larger than prescribed doses. Although Vyvanse is somewhat more difficult to abuse than other prescription stimulant drugs, it’s not impossible. By taking more than the recommended dose, users can experience a range of serious, negative impacts on their health in the long run. For example, misuse of central nervous system stimulants such as Vyvanse can hasten the development of tolerance, physiological dependence, and addiction. Some degree of tolerance and dependence may develop even in people who take the drug as prescribed. With tolerance, the drug’s effects become less pronounced over time. Someone who has built tolerance to a drug may require higher and higher doses to achieve the desired effect. Dependence means a person’s system adapts to the presence of the drug and only functions normally when the drug is present. When the person stops taking the drug, they can experience withdrawal symptoms. Unfortunately, abuse of ADHD medications is widespread, especially among young people. Despite misuse to enhance cognitive performance, evidence is mixed on whether these drugs actually improve performance. If you or someone you know is abusing Vyvanse, talk to your doctor or consider getting help at a drug rehabilitation program. 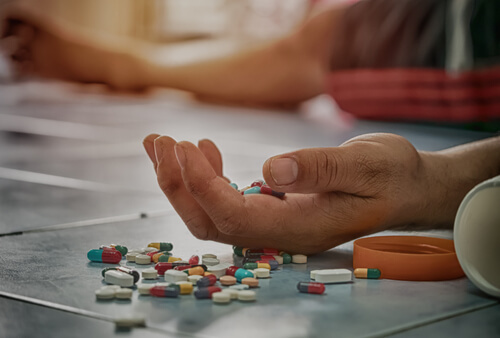 Quitting the drug can prevent long-term effects on your health and help you avoid potentially severe consequences, such as overdose.
. National Alliance on Mental Illness. Amphetamine (Vyvanse).
. U.S. National Library of Medicine, Medline Plus. (2016). Lisdexamfetamine.
. Gudin, J, and Nalamachu, S. (2016). An overview of prodrug technology and its application for developing abuse-deterrent opioids. Postgraduate Medical Journal, 128(1), 97-105.
. Jasinski, D. and Krishnan, S. (2009). Human pharmacology of intravenous lisdexamfetamine dimesylate: abuse liability in adult stimulant abusers. Journal of Psychopharmacology, 23(4), 410-418.
. Goodman, D. (2010). Lisdexamfetamine Dimesylate (Vyvanse), A Prodrug Stimulant for Attention-Deficit/Hyperactivity Disorder. Pharmacy and Therapeutics, 35(5), 273-276.
. Simon, K, Worthy, S., Barnes, M., and Tarbell, B. (2015). Abuse-deterrent formulations: transitioning the pharmaceutical market to improve public health and safety. Therapeutic Advances in Drug Safety, 6(2), 67-79.
. Food and Drug Administration. (2017). 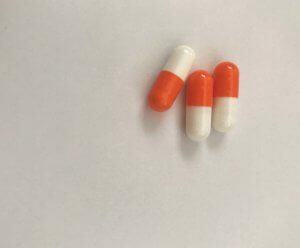 VYVANSE (lisdexamfetamine dimesylate) capsules, for oral use, CII.
. National Institute on Drug Abuse. (2018). Prescription Stimulants.
. Government of South Australia. Amphetamine Withdrawal Management.
. Reynolds, J. (2017). Why It’s Risky for College Kids to Take ADHD Meds to Help Them Study. U.S. News and World Report.
. Cooper, A. (2011). College students take ADHD drugs for better grades. CNN.
. National Institute on Drug Abuse. Monitoring the Future Study: Trends in Prevalence of Various Drugs.
. Baggot, K. and Kaminer, Y. (2014). Efficacy of stimulants for cognitive enhancement in non-attention deficit hyperactivity disorder youth: a systematic review. Addiction, 109(4), 547-557.
. Lakhan, S. (2013). Prescription Stimulants in Individuals with and without ADHD – Do They Improve Cognition? Neurology, 80(7).
. Weyandt, L. (2018). Neurocognitive, Autonomic, and Mood Effects of Adderall: A Pilot Study of Healthy College Students. Pharmacy, 6(3), 58.